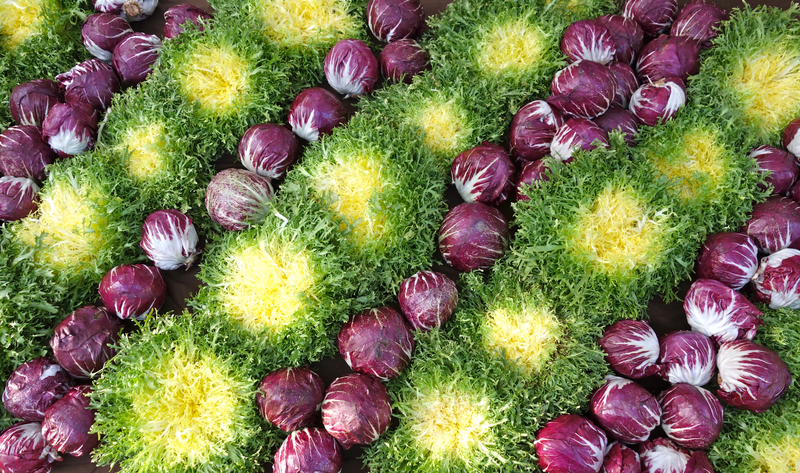 A beautifully arranged table of radicchio and frisee at Maggie’s Farm stand. Gorgeous greens found this week at the Santa Monica Farmers Market! 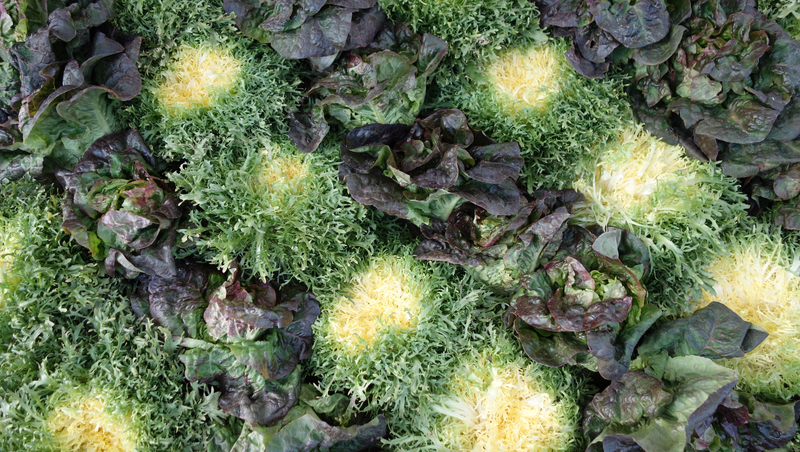 A beautifully arranged table of frisee and red little gem lettuces, also at Maggie’s Farm.